Please click HERE to book your SAGES 2016 hotel reservations. This hotel in Boston’s historic Back Bay provides indoor access to the Hynes Convention Center, the Prudential Center, Copley Place malls, numerous shops and restaurants, as well as a subway station. 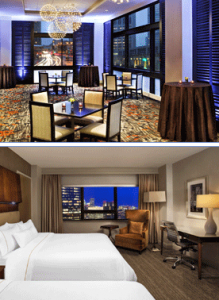 Guests of the Sheraton Boston Hotel have complimentary use of an 18-meter swimming pool with retractable roof; a fitness area, business center, and onsite meeting rooms. The hotel’s 1,220 nonsmoking guestrooms offer Sheraton Sweet Sleeper Beds with a plush mattress, luxe lines and a duvet, and complimentary wireless internet access. 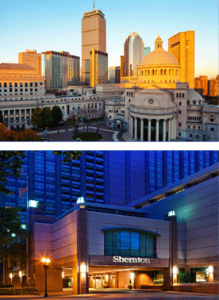 The 38-story Marriott Copley Place hotel is adjacent to 2 malls and a convention center, forming 3 climate-controlled blocks of shops and restaurants; within a half-mile of major businesses. This Boston hotel in the Back Bay offers a large health club with a lap pool and fitness room, three restaurants and a lounge, mailing facility, and 74,000 square feet of meeting space. All guestrooms feature Revive signature bedding with down comforters and 300-thread-count cotton linens, and complimentary wireless internet access. 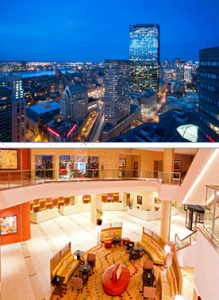 The Westin Copley Place is centrally located in the heart of Copley Square, within walking distance of Hynes Convention Center and the fashionable restaurants, boutiques, and shopping at Copley Place Mall. The pet-friendly Westin Copley Place offers a health club with pool and a spa with massage and salon services, as well as multiple dining options and 24-hour in-room dining. The 803 rooms on 24 floors at The Westin Copley Place offer Heavenly Baths, Heavenly Beds with foot-thick pillowtop mattresses and down comforters, complimentary wireless Internet access, and views of the Back Bay. For meeting registration, please use the SAGES 2016 Online Meeting Registration Page. The SAGES 2016 Advance Program is now available.